When looking for the right Pattaya accommodation Mercure has a variety of room types to choose from. Two different room types with 2 layouts each, as well as 3 different types of suites each tailored to suit a different style of guest. What the guests at Mercure have in common is they are all looking for a home away from home. Mercure is a blend of local Thai contemporary fused with European accents and flare. 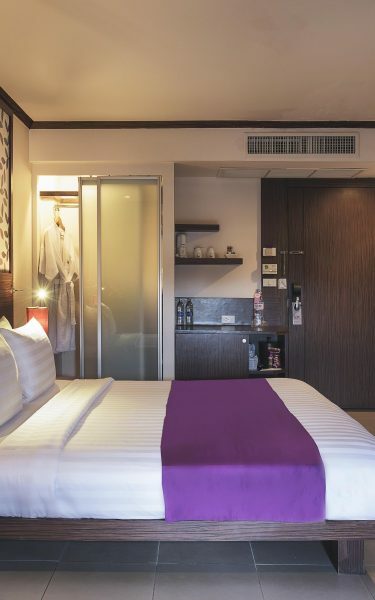 Experience international service while feeling like you are right at home, and you get a feeling for what it is to stay with Mercure in Pattaya. The Superior room is a 28 sqm room that comes with either a single queen sized bed or with two twin beds and a balcony. The Superior queen is ideal for couples who want their own cozy privacy, and the balcony that comes standard with the Superior twin helps give the small space some extra breathing room for those sharing their accommodation. 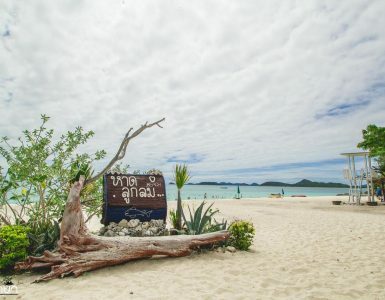 An extreme value for budget travellers looking to pamper themselves a bit by the beach. Gain access to all the resort amenities and standard safety features like fire sprinklers, and electronic key cards, plus enjoy standard air conditioning, flat screen TV with Cable, stocked Mini Bar, along with Coffee/tea station. The Deluxe room although the same 28 sqm as the Superior, the Deluxe comes with a balcony whether you have the queen bed, or the two singles. The Deluxe rooms are the most popular at Mercure as they provide great value for a wide range of travellers that appreciate good quality, and good location. All Deluxe rooms come with the same safety features with the addition of a safety deposit box. There are 8 Family Room at Mercure that are superb for a family trip, or for a couple looking to have bit of a view and some extra space to spread out. The corner suites are a full 36 sqm and provide beautiful views of the Pattaya bay, the mountains, and the cities skyline. There is a built in office, along with a larger balcony than the Deluxe rooms, and Family Room come standard with a Queen sized bed. There is also a small area for dining in room. Mercure features a dozen Family Suites that are themed with super heroes or Disney characters that have been vibrantly painted on the walls. The kids beds are set up as bunk beds with slides and in an “L” shape for maximum entertainment. The Family Suites come standard with a Playstation 4 under the bunk beds, and a small in room dining area. The bathroom has a real bathtub as well, and the Minibar and coffee station are there like always. The accommodation suited to families has all the comforts of home right at your fingertips. The Family Suite is 32 sqm with an open floor plan, and the Queen bed fits nicely in the layout. The Grand Suite takes your Pattaya Accommodation to the next level. This massive 72 sqm space comes with a bedroom complete with a King sized bed and a private living room. There is a Jacuzzi in room with an outdoor shower. The luxurious bathroom is large and bright. The living room has a contemporary sofa with its own flat screen TV. 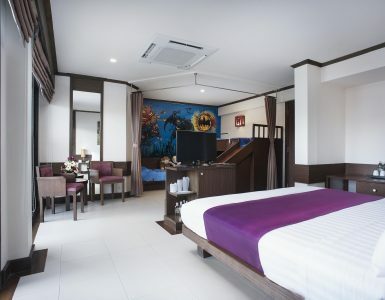 The bedroom has a small office with another flat screen TV and balconies with sweeping views of Pattaya. A DVD player comes standard as well. Special Note – Pet Friendly Pattaya Accommodation! Mercure is a pet friendly accommodation in Pattaya. Guests may check in 1 or 2 animals with them that do not exceed 10 kg each. The pet rent per evening is only 500 THB. Please make sure to let the hotel know upon booking and when checking in that you have an animal with you at the hotel. Pets are not allowed to use the swimming pool. Mercure is a family friendly facility and that includes fur babies. Sorry, no large animals allowed, however, if you need accommodation for large dogs or even horses you may contact Adrian Sinna who offers boarding at Lake Mapbrachan about 20 minutes from Pattaya. 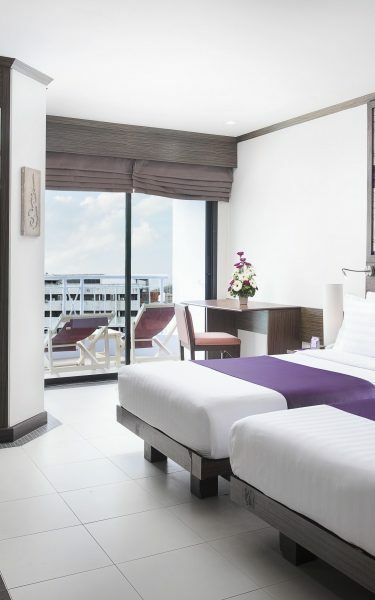 There is a wide range of accommodation types at Mercure Pattaya to suit a wide range of guests that visit annually. Pattaya is a diverse city with travellers visiting from all over the world. There is an accomodation option to suit most budgets at Mercure that are good value and comfortable to stay in. 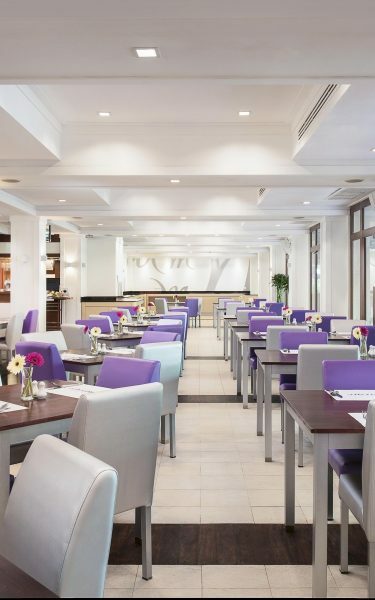 Mercure is part of an international chain that strives to provide an at home local feeling in the city they are serving. This is apparent throughout the hotel as Thai and European accents and details will be found on every floor, but the newly renovated pool are where it is most evident. Mercure provides decadence and Thai hospitality in a central location with a large number of room types to suit everyone.